As one of the world’s best players who is now at the peak of his powers, Hazard will attract many of the world’s best clubs and is reportedly a target for Spanish giants Real Madrid who view him as a replacement for Cristiano Ronaldo who joined Juventus last summer. 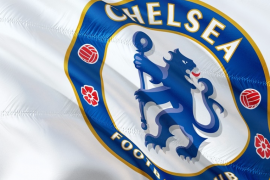 A report published by the Daily Express has claimed that the Blues will reject all advances for Hazard this summer – even from Real Madrid, and are prepared to hold contract talks with him next summer. This is something that the Blues must avoid and if true, it is reckless thinking. The report even went on to add that the West London giants are prepared to lose their prized asset for nothing. The Blues must sell Hazard this summer if he does not agree to a new deal. 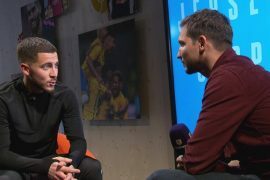 Hazard has been an influential player who has been a key figure for the club since his arrival during the summer of 2012. However, life moves on and if he is sold, the club will likely get a sizable chunk of money which can be invested in buying world-class players in the future. It would be foolish thinking if the Blues keep hold of Hazard this summer if he continues to reject the offer of a new contract. If he wants to leave, the club should grant him his wishes and work towards building a team that can win trophies going forward.